Monniblog is a personal blog including posts about arts & crafts, book reviews, food, technology, and various geeky things. I’m a Vancouver blogger working in publishing, and the arts & culture industry. 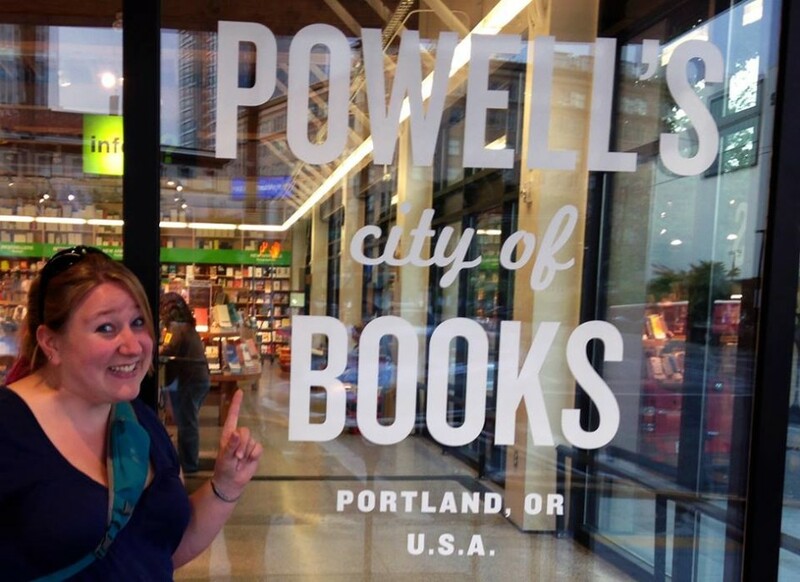 I like to write about things that are happening around the city, book reviews, travel (like the photo above at Powell’s Books in Portland, Oregon), and crafty hobbies I have. My intent is to provide a creative space for myself while providing entertainment for readers and making new connections. I do my best to provide links, cite sources, and credit inspiration where appropriate. I try to present my honest opinions and endeavor to disclose any relationships or affiliations I may have. (Please note these are core values of the Blog with Integrity pledge.) All opinions expressed are my own and do not reflect those of any employer, group, or association I am involved with. If you have a question or a comment, please leave it on the relevant post and I will respond via email. Or, if you have an unrelated question, feel free to email me! Make sure to write “Monniblog” in the subject line so it doesn’t accidentally end up in the spam filter. Thanks! I love to hear comments and input regarding the blog. When I review a book on my blog, I include a cover image and link to the book on the publisher’s and/or author’s website. My reviews are honest and include a summary, sometimes a quote or approved excerpt, and my opinion on the story, writing, and other interesting aspects of the work. I enjoy a number of genres (look at anything book-related by filtering the “book” category), as well as instructional or educational non-fiction such as knitting, sewing, tea, cooking, etc. I try to mention where I got a book or who/what compelled me to read it; any omissions in these details are unintentional as I try to be transparent. Also, where/why I got a book will not affect my review or opinion. If I accept a book for review, I will post a review. If there is a particular time/date you would like the review posted by, please let me know that ahead of time. I do not accept all books pitched. I prefer to be emailed a list of suggested or available titles to choose from, or a synopsis of the title. I would be interested in doing a blog tour or Q&As with an author, however I do not currently host guest posts. I cannot guarantee I will be able to read and review any unsolicited titles simply because I do this for enjoyment and prefer to read books I’m interested in. That being said, I do enjoy a wide variety of books (look at my past reviews by filtering the “reviews” category). If you would like to know my blog stats, I can provide Google Analytics information upon request. If you have specific guidelines for review copies, I do like to know them upfront. Please contact me through the form below.